Comfortable performing a wide range of musical styles, critics have equally praised his performances of J.S. Bach and William Walton, saying “His interpretation of the Bach suite is one of the finest I have heard to date with superb phrasing and total mastery of the technicalities involved in playing this difficult composition” (Classical Guitar Magazine) and “This is simply the finest performance of Walton’s Bagatelles I’ve encountered. I and V crackle with energy, and he realizes perfectly the range of moods and colours in this modern masterpiece.” (American Record Guide). Mr. Cordover has also released two CDs with his long standing chamber ensembles; Songs from the Forest, (independent release, 2012) the debut CD from the Australian Guitar Duo (with Rupert Boyd) and Historias (Cala Records, 2014) the debut CD from Zoco Duo (with Laura Karney, oboe/cor anglais). As well as receiving rave reviews, all of his CDs have been broadcast on radio stations in Asia, North America and Australia. An interest in contemporary music, and with a strong belief that classical music should not be static and always backwards looking, has led Mr. Cordover to collaborate with a number of composers from Australia, Canada, Norway, Spain, the USA and the UK. He has premiered numerous works for solo guitar and guitar and oboe/cor anglais as well as a number of other chamber music combinations. Regular collaborations with the Association of Catalan Composers has led to a number of performances, and a live CD recording, of newly commissioned works as well as lesser known works by living composers for solo guitar and guitar and oboe/cor anglais. 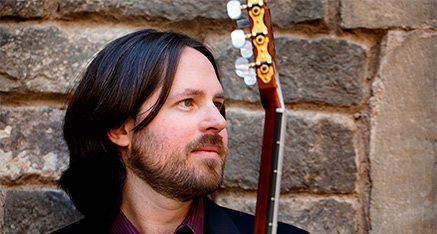 Aside from his formative studies at the Australian National University School of Music with renowned performer and pedagogue Timothy Kain, he completed post-graduate studies at the Escola Superior de Música de Catalunya with Laura Young and at the Escola Luthier with Arnaldur Arnarson in Barcelona, Spain. He also studied 19th-century performance practice with Carlo Barone at the Academia l’Ottocento in Paris as well as taking several long-term residencies at the Banff Centre for the Arts in Canada. Masterclasses with Sérgio Assad, Manuel Barrueco, Ricardo Gallén, Paul O’Dette, Pavel Steidl, Geoffrey Simon, Geoffrey Lancaster, Nicholas Daniel, Edgar Meyer, Tsuyoshi Tsutsumi amongst others, have also been influential in the development of his playing. 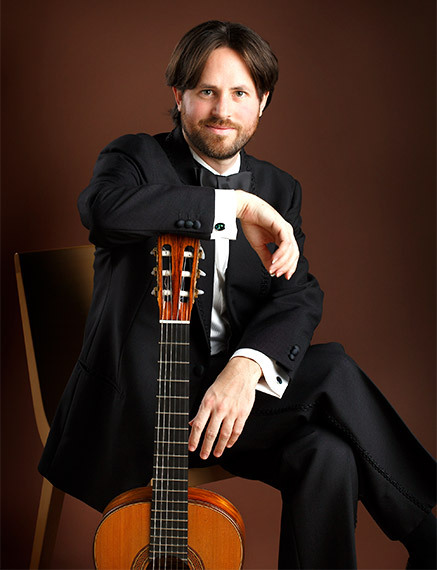 His music has been used in television, radio and podcast programs, stations and he has been a prize winner at major national and international music competitions including the Concurso Internacional de Guitarra Festival de Córdoba (Spain), the Sydney Performing Arts Challenge (Australia), the Australian Guitar Competition (Chamber Music Section), the Certamen Internacional de Guitarra de Barcelona (Spain) and the Performing Australian Music Competition (London, UK). Mr. Cordover plays guitar by Greg Smallman and Sons (2006), Elias Bonnet Monné (2015) and the Famiglia Vinaccia (1915) and exclusively uses Knobloch Strings.